Details: In stock, arrives in 3-5 business days. In-store pickup available. Christopher Rowe is back and there are more puzzles, riddles, and secrets to uncover in this follow-up to the Indie Next pick The Blackthorn Key, which was called a “spectacular debut” by Kirkus Reviews in a starred review. The Black Death has returned to London, spreading disease and fear through town. A mysterious prophet predicts the city’s ultimate doom—until an unknown apothecary arrives with a cure that actually works. Christopher’s Blackthorn shop is chosen to prepare the remedy. 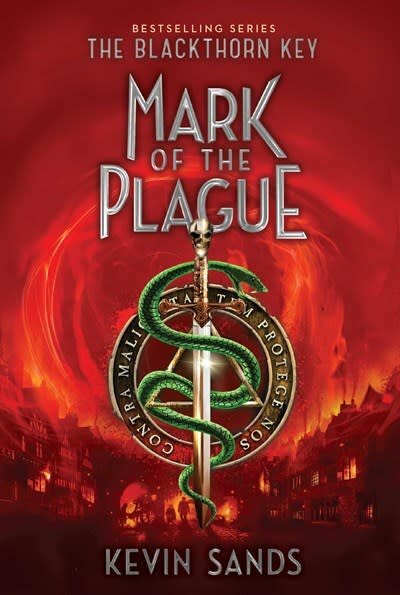 But when an assassin threatens the apothecary’s life, Christopher and his faithful friend Tom are back to hunting down the truth, risking their lives to untangle the heart of a dark conspiracy. Linden Tree Books is for Sale!